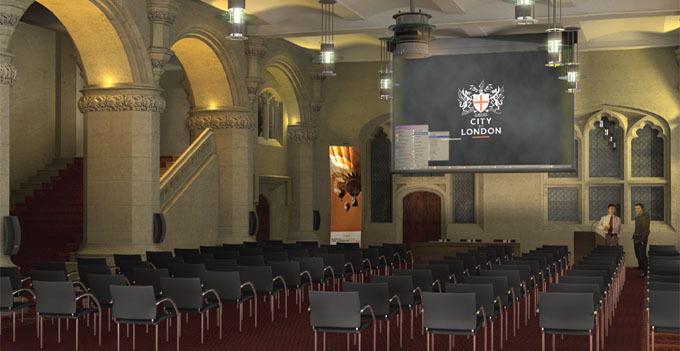 The conference will be held in the magnificent Livery Hall (below) at the Guildhall, with the drinks reception in the East and West Crypt, the largest medieval crypts in London. 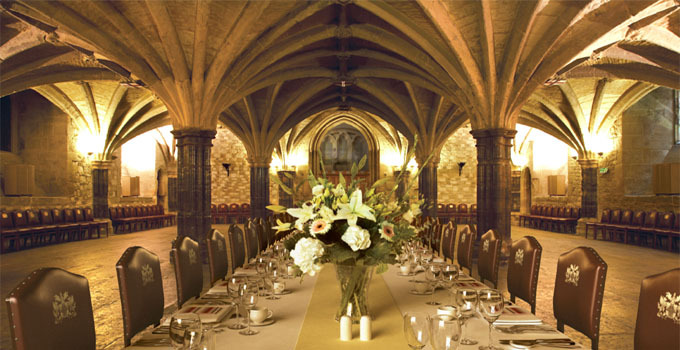 Built between 1411 and 1440, Guildhall was designed to reflect the importance of London’s ruling elite; today its splendour is still awe-inspiring. 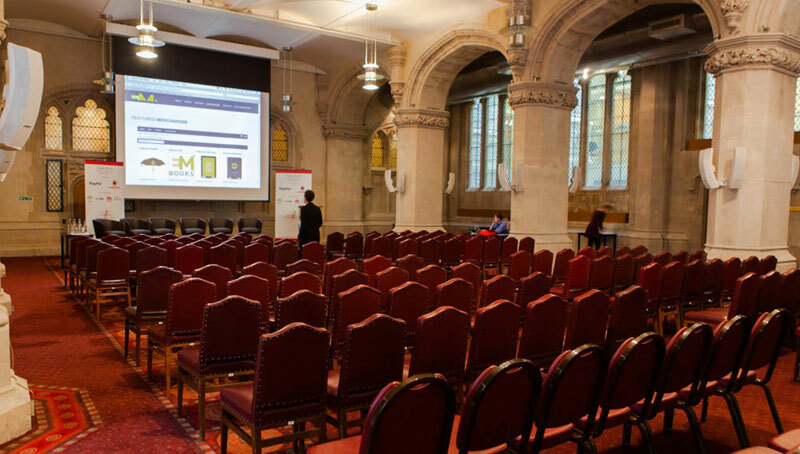 The combination of history and tradition with the very latest state-of-the-art built-in communication technology helps ensure that events are effective and smooth-running. The conference organisers recommend that if at all possible delegates use public transport, rather than driving to the venue. Click here to download location map and directions. The nearest bus routes are at Bank (11, 23, 26, 388), Moorgate (21, 43, 76, 133, 141), Cheapside (8, 25, 242) and London Wall (100). You can find out more about London buses by visiting the Transport for London website. The nearest rail stations are Liverpool Street, Cannon Street, Fenchurch Street, Moorgate, Blackfriars and City Thames Link. You can find out more about trains to London by visiting the National Rail website. The nearest underground stations are Moorgate (Hammersmith and City, Metropolitan, Circle and Northern), Bank (Northern, Central, Waterloo and City and DLR), Mansion House (District and Circle) and St, Paul's (Central). You can find out more about the London underground by visiting the Transport for London website. The nearest international airport is London City Airport - located in Docklands - which is the UK's leading business airport with eleven airlines serving thirty-four destinations across the UK and Europe and connections to the rest of the world through major European hubs. You can find out more about London City Airport by visiting the London City Airport website. The City of London provides free bicycle stands in designated on-street sites throughout the City and in a number of City owned car parks. The same car parks also provide free off-street motorcycle parking. You can find more information on these sites by visiting the City of London website. For accurate road directions to Guildhall from your location we recommend you use the RAC Route Planner website. Public car parking is available at the London Wall (24 hours), Barbican (8am to midnight) or Aldersgate (24 hours). Disabled car parking bays are located in Aldermanbury and Basinghall Street for Blue Badge holders (after 10am Monday to Friday and all day Saturday and Sunday). You can find out more about Blue Badge bays near Guildhall by visiting the Blue Badge London website.